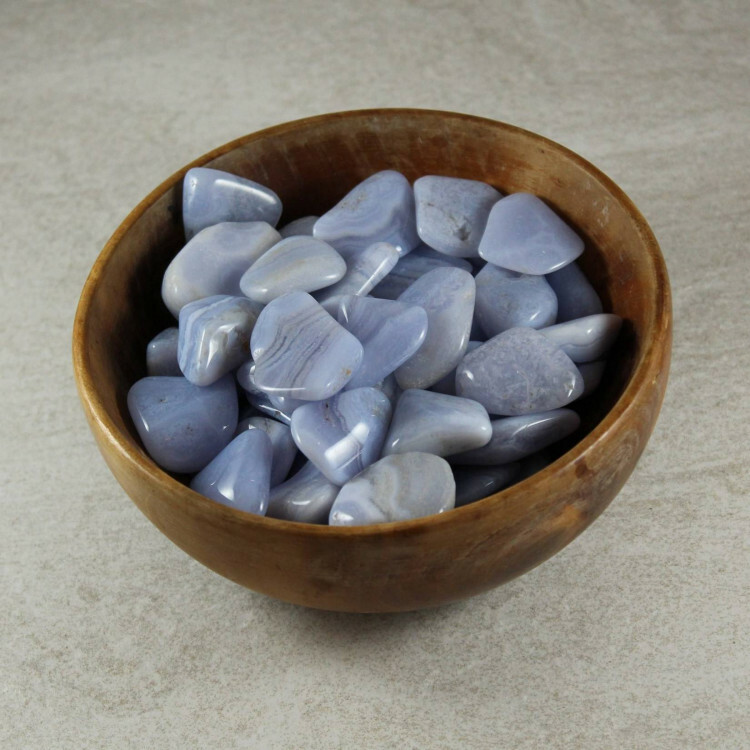 Lovely little tumbled pieces of Blue Lace Agate, available in two grades. 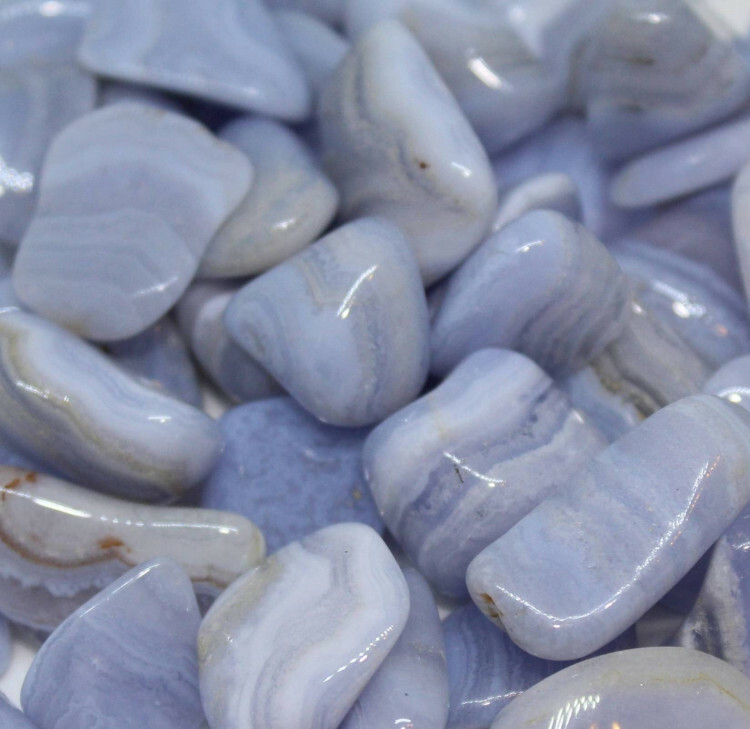 Tumbled pieces of Blue Lace Agate, available in two different grades. This type of Agate has always been very popular, and its light colouring makes a lovely contrast stone. 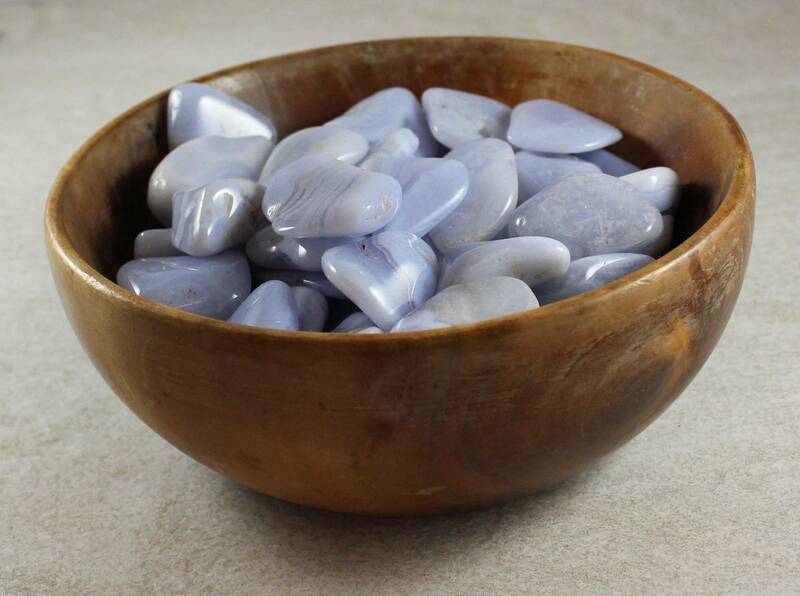 It looks great in a bowl or a vase, and as an agate it is perfectly suitable to use as fish tank or aquarium gravel. However, overall – worldwide stocks of this stone appear to be depleting. It has risen dramatically in price in the past year. Why not have a look for some nice contrasting tumblestones in our main ‘tumblestones’ category?